Hold off on your chocolate for a minute because this Easter is all about LEGO. 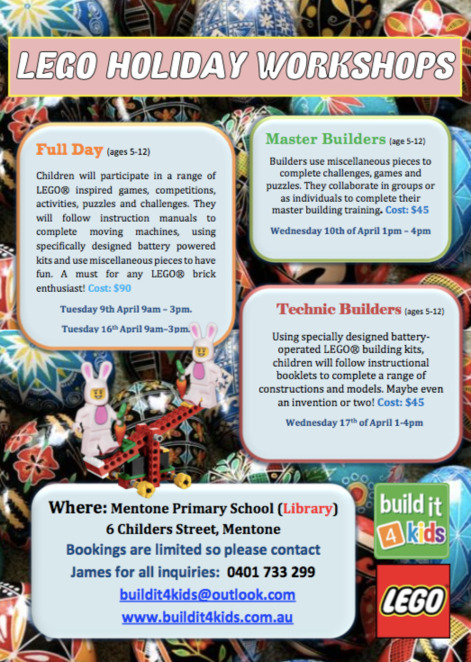 Yes kids, it's time to get your LEGO on during the April school holidays because the Build it 4 kids team are back with another brick-tastic program. Whether you're after an entire day or just an afternoon of LEGO-themed entertainment, the Build it 4 kids crew are ready to entertain and educate in a series of themed activities involving miscellaneous LEGO blocks and LEGO Technics sets. The Half Day 'Master Builder' classes encourage kids to participate in individual and group activities using huge piles of miscellaneous bricks. 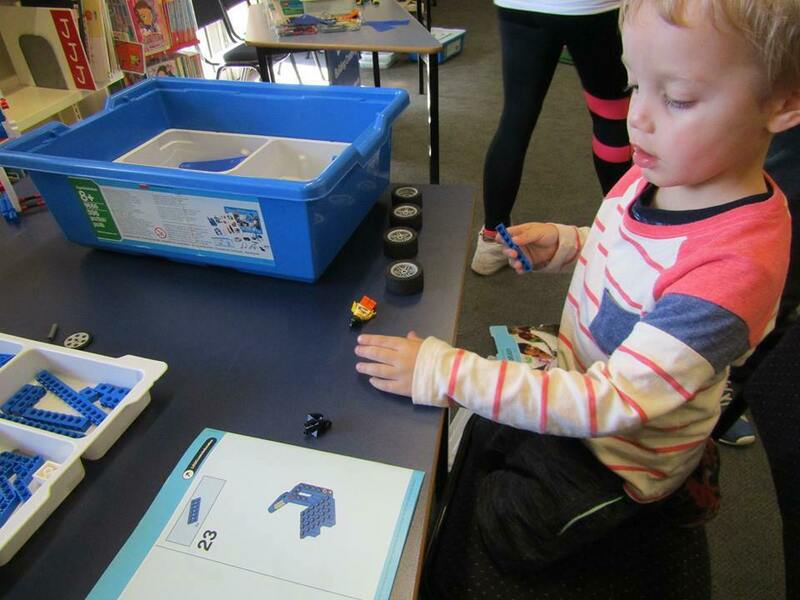 The Half Day 'Technic Builder' classes use specially designed battery operated LEGO® Technic™ sets. Children use instruction manuals to build mechanical moving models and at the end of the class, might get a chance to invent their own machine. The Full Day LEGO class is a mixture of the above two. There's an opportunity to partake in generic brick challenges, tasks and free play along with an opportunity to try out the battery operated LEGO® Technic™ sets. Classes are held in the library at Mentone Primary School. Full day workshops are 9am - 3pm and cost $90 for the session. 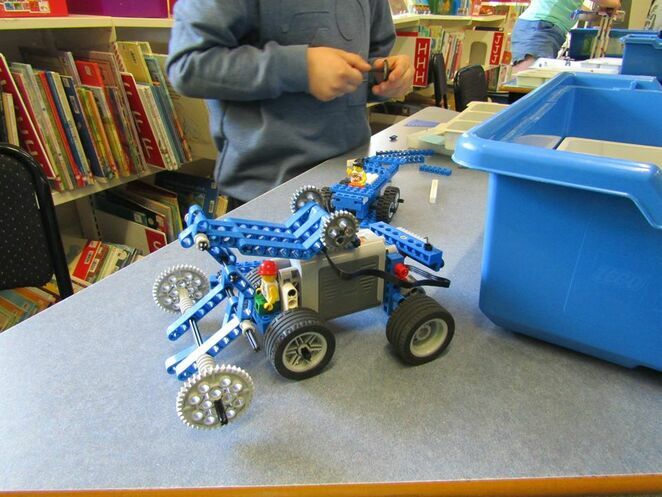 Half day classes, both the Technics and Master Builder workshops are from 1 - 4pm and cost $45 per child. All workshops are suited to children aged between 5 - 12yrs. 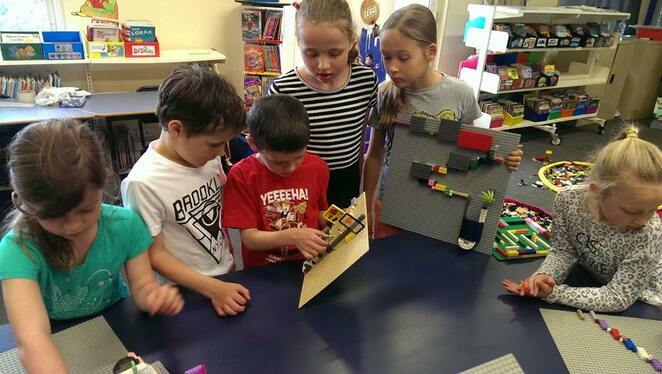 Build it 4 kids is a small operation run by James, a qualified primary school teacher, who saw an opportunity to entertain children during school holidays with fun, engaging and educational workshops involving every child's favourite toy: LEGO.